In December 2015, Gartner, Inc. predicted 30% of enterprises would be deploying Software Defined Wide Area Networks (SD-WAN) by the end of 2019, a dramatic increase from less than 1% of enterprises deploying SD-WAN in 2015. That increased adoption of SD-WAN reflects an interest by companies to deploy a Wide Area Network (WAN) more suitable to today’s IT environment and business needs while also reducing the costs associated with maintaining WANs. Not long ago, a WAN primarily joined servers and desktop PCs at a company’s headquarters and physical branch facilities. Cloud-based services and the use of mobile devices such as phones and tablets grew in popularity and that popularity continues to increase. More users began performing work from remote locations, a trend that continues today. Available bandwidth keeps increasing, but existing WAN architecture and practices lack the agility, flexibility and scalability to accommodate all of the change in enterprise IT environments. Providing individuals with appropriate provisions at branch or remote locations is time-consuming and purchasing and configuring related network hardware at branch locations can be costly. Users need access to applications based at branch locations, headquarters, company data centers and cloud services, but providing quick access to multiple application sources raises both cost and performance concerns. Individuals increasingly rely on mobile devices, which require internet access as well, and security measures are also needed at each endpoint. SD-WAN technology was developed in response to those concerns. SD-WAN architecture more closely resembles cloud-based systems than conventional WAN. With SD-WAN, cloud-accessible software provides a centralized means for assigning provisions, creating virtual private networks (VPNs) and overseeing security requirements and other policies across an enterprise’s WAN. The use of cloud-accessible software greatly reduces the amount of time required to provide individual users with necessary provisions. The cost associated with purchasing and configuring network hardware at branch locations also declines because centralized, cloud-accessible software plays a greater role in establishing and maintaining connectivity. Information flow for individual users seeking to access applications from disparate locations becomes more direct, enabling a company to make better use of bandwidth while delivering an improved overall user experience. With SD-WAN, companies attain networking capabilities and performance to accommodate the agility and flexibility they expect from IT. Assigning provisions and addressing configuration needs for individual users at branch or remote locations is primarily handled at a headquarters facility via a central console. This makes it much easier for companies to provide users with the IT resources they need as soon as they are hired or whenever their work responsibilities change. A regional bank, for example, may have branch locations throughout its home state and neighboring states, as well as an in-house datacenter. It may also rely upon cloud services for various applications. Some job descriptions and user provisioning needs remain the same across branch locations. Tellers, branch managers, investment counselors, or individuals involved in approving or transmitting automated clearinghouse (ACH) transactions in a metropolitan area would generally have the same IT provisioning needs as their counterparts in other cities or states. Regardless of the specific branch, the centralized control panel associated with SD-WAN enables network administrators at the bank’s headquarters to substantially reduce the expense and time involved in setting up WAN connections for branch office staff. An SD-WAN appliance costs less than conventional WAN hardware and also requires less space. Setting up an SD-WAN appliance primarily involves plugging in data and electrical power cables, similar to how you would connect a printer to a home PC. Any additional setup instructions can easily be conveyed to a branch office staff member from headquarters. This means that an IT staff member does not have to visit the branch office for initial installation, nor does the bank need third-party support for setup or maintenance. All of this provides the bank with greater agility and flexibility. There are fewer network devices to ship and mass deployments can be executed much faster. Ultimately, SD-WAN makes it much easier to migrate away from expensive legacy WAN technology. The bank’s business and IT environments may change considerably over time as more functions are outsourced to service providers. It may rely more on cloud services and integrate Internet of Things (IoT) concepts into various work functions. SD-WAN enables the bank’s network administrator to more easily evolve as short and long-term changes affect the bank. Any business that needs to connect branch locations, remote or mobile users, as well as cloud services or data centers may benefit from SD-WAN. Retailers with a central facility and stores located throughout a given geographical area can also benefit, as well as service centers linked to a central office and distributors whose warehouses are linked to a central location. 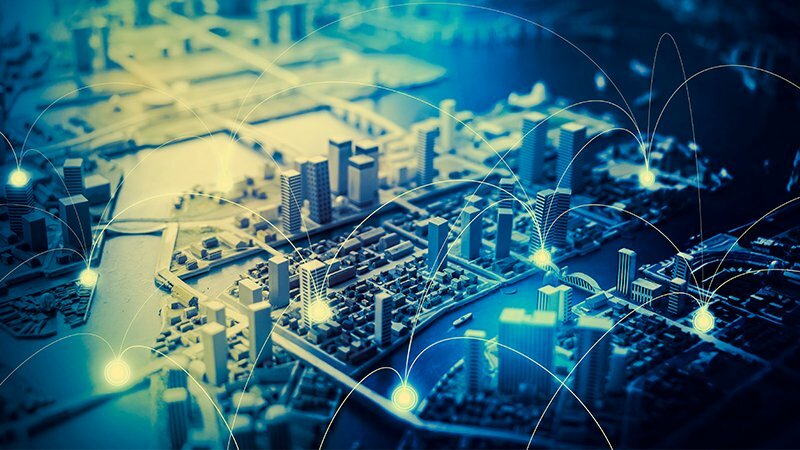 SD-WAN products are available from large IT industry vendors such as Riverbed SteelConnect as well as other established or start-up companies. Specific characteristics vary among vendor products such as firewalls, application visibility and routers SD-WAN may also be used in a complementary or hybrid role with existing network infrastructure. As organizations operating WANs become more familiar with SD-WAN, they can consider their own needs and determine what specific options work best for them.